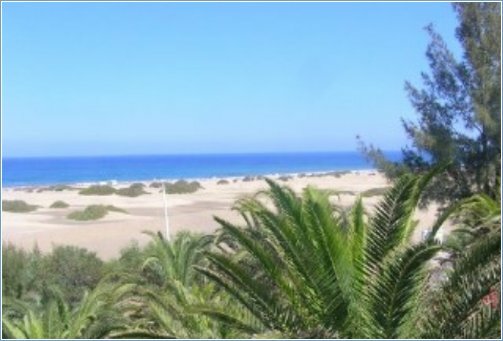 A delightful one bedroom apartment in the heart of Playa del Ingles fully air-conditioned. The bedroom has 2 single beds and there is also a sofa bed in the lounge for a 3rd person. 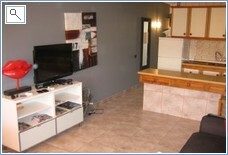 The apartment has a american kitchen, tiled bathroom with corner shower. 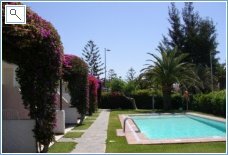 It is to be found on the 1st floor and the apartment block has a swimming pool. 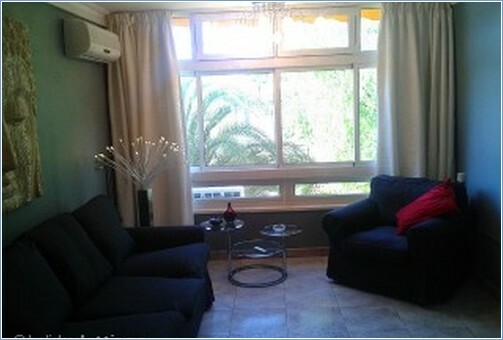 Well-equipped bungalow in a small complex, with private terrace, garden and shared swimming pool. 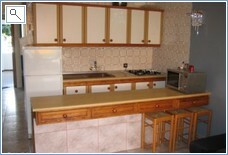 Well-situated in a calm and quiet place, next to main shopping centres, bars and restaurants. 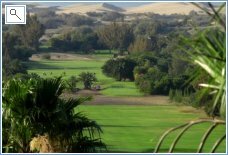 Views of the dunes of Maspalomas and the Golf Course.